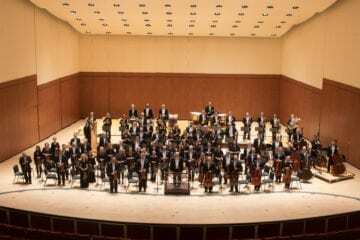 The Atlanta Symphony Orchestra’s theme last night was conversation, which arises when musicians play chamber music together, playfully commenting on each other’s melodies and having good fun in the process. Symphony buffs may remember that the ASO is in its second year of a Beethoven survey. 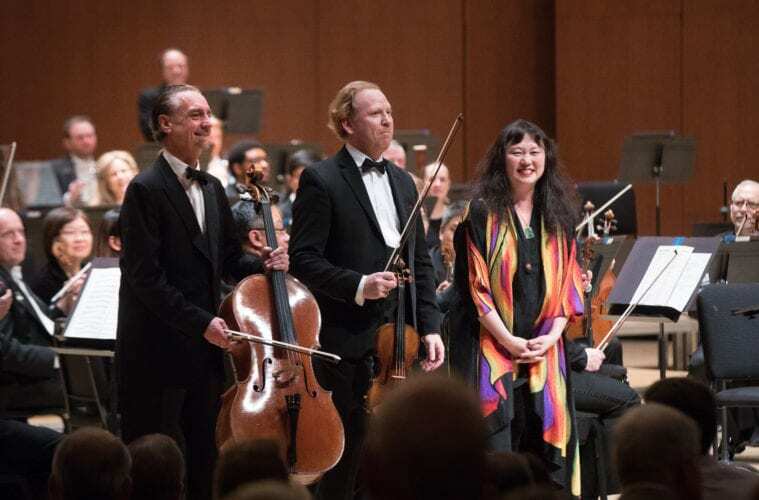 Accordingly, last night’s program began with a heroic, sturm-und-drang-infused “Egmont Overture” and worked up to the stately “Triple Concerto,” which featured the talents of Daniel Hope (violin), David Finckel (cello) and Wu Han (piano). An encore trio of Beethoven’s Piano Trio, Op. 1, showcased the near-telepathic chamber abilities of the soloists, and Robert Schumann’s energetic “Spring Symphony” (Symphony No. 1) rounded out the evening in seasonally appropriate form. 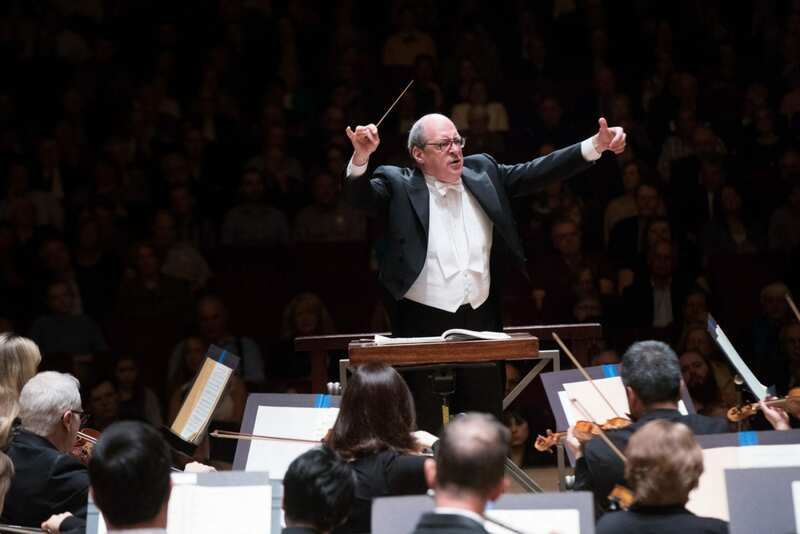 The program — under music director Robert Spano — repeats tonight and tomorrow evening. Hope, Finckel and Han are eminent chamber music players. Finckel and Han direct the Chamber Music Society of Lincoln Center, and Hope — besides being the last violinist of the great Beaux Arts Trio — has a significant presence in Georgia as associate director of the Savannah Music Festival. Since 1985, Finckel and Han have been married. It is clear that all three soloists have a positive rapport, with Finckel capable of moments of wry humor and Hope and Finckel engaged in friendly competition to see who can set the standard for virtuosity and expressive intensity. The evening’s appetizer, “Egmont Overture,” approached Beethoven’s Symphony No. 5 at times in quality, but had an abrupt and unsatisfying ending, as if the stern message of fate could be undone by a couple of minutes of fleeting celebration. Spano seemed to emphasize the fateful aspects of this standard and wisely kept tempos relatively slow. The result was an appropriate level of gravity to begin the evening. The evening’s main course, the “Triple Concerto,” might seem to embed a chamber trio within the larger orchestra. Make no mistake, though: The three soloist’s parts are virtuosic through and through. It was evident from the start of the performance that the orchestra’s energy level rose in response to the soloists. The tempo in the first and last movements was thus neat and quick. The soloists were so compelling that Spano and the orchestra receded to the background, with an occasional stern look making sure that all musicians coordinated the time of their triplets –a real challenge in the first movement. It is interesting to catalog the different interactions of the soloists: Violin and cello tended to lead with the most distinctive gestures and traded who led and who followed, whereas the piano was limited by more mundane, accompanying duties. But it was Hope and Finckel’s competing runs and arpeggios that were highlights of the evening. Moments where they made eye contact and traded notes and melodic ideas were opportunities for well-told jokes. Han’s more accompaniment-like part and having her back turned often prevented her from being a third, equal participant in the conversation. 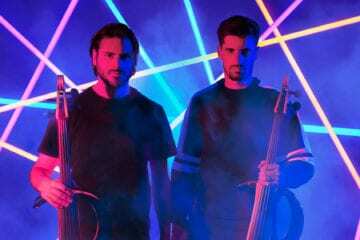 Concertgoers will want to stay alert for a couple of passages in which all three players coordinate trills, a very unusual — and tricky — situation that all musicians last night seemed to enjoy for its pure oddity. The trio’s encore, the witty and quicksilver finale from Beethoven’s Piano Trio, Op. 1, showed even better nuance and humor than the “Triple Concerto,” and all three demonstrated their talents for close communication. Here, Han’s playing was fully expressive and the equal of the others. Schumann’s “Spring Symphony” is not an avant-garde work from his youth; rather, it shows the civilizing influence of composer Felix Mendelssohn in the early 1840s in Leipzig. It was Mendelssohn who helped Schumann on the symphony’s orchestration. The two also enjoyed lighter moments in pubs and playing billiards. Some of Schumann’s frenetic energy from his earlier style periods, and his characteristic rhythmic tensions and games, are still present here. Spano deftly brought out longer phrases and dynamic shapes, taming this excess energy and holding it in reserve for climactic moments like chorales and fanfares. Occasional mistakes in the strings, inevitable in Schumann’s wickedly difficult string writing, did not disrupt the onward flow. I was especially impressed by the clear entrances of the lower and higher instruments, which faded in and out of view. Tempos were well-chosen, whether in the optimistic first and last movements, warm and somber second movement and alternately stern and playful third movement. The audience left the concert pleased with the upbeat program, exemplary chamber music playing, witty conversations between soloists and the arrival of spring.